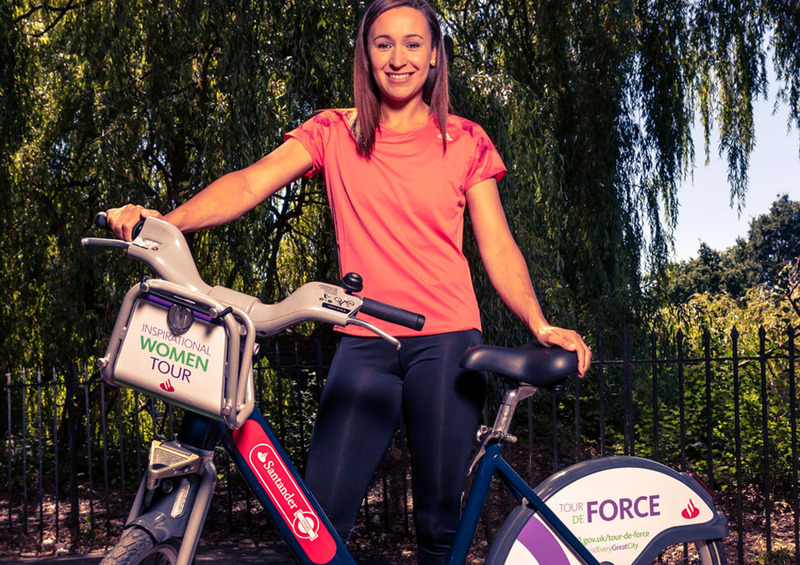 Dame Jessica Ennis-Hill has today helped Santander and Transport for London (TfL) launch the UK’s first sightseeing cycle tour of landmarks linked with pioneering and inspirational women from the past and present. Launched to celebrate this year’s centenary of the first women winning the right to vote in the UK, the free Tour de Force experience sees participants take Santander Cycles on a guided ride across London, where they will hear the stories of women from all walks of life whose amazing achievements have helped to shape the city, the nation and the world. Among the many sights visited on the Tour De Force will be the new statue of suffragist Millicent Fawcett (the first female statue in Parliament Square), the memorial for WW2 undercover operative Violette Szabo, and iconic buildings designed by female architects such as Zaha Hadid’s spectacular Serpentine Sackler Gallery. The carefully crafted route begins at Kensington Gardens and ends at Waterloo Place at the statue of Florence Nightingale, with commentary on the landmarks visited provided by a professional tour guide. Participants will ride Santander Cycles which have been given a special make-over for the tour, using the suffragette movement’s iconic colours of purple, white and green and displaying #BehindEveryGreatCity in support of the Mayor of London’s year-long women’s suffrage centenary campaign. Next Fancy a festival with a difference?